DIEN BIEN (VNS) — A festival marking the 245th death anniversary of the peasant hero, Hoang Cong Chat, began in the Dien Bien district, the northern mountainous province of Dien Bien on March 24. 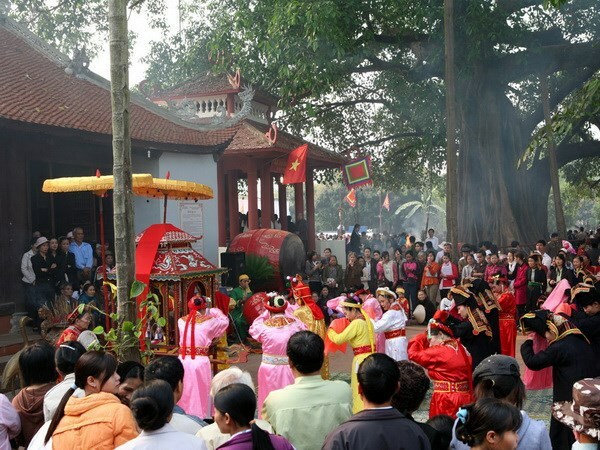 Started in 1994, the Hoang Cong Chat Temple Festival is an annual event held on the 25th day of the second lunar month at the Ban Phu Citadel, Noong Het commune. The festival, the largest in the Dien Bien Province, features a wide range of cultural, art, and sports activities, including a palanquin procession, incense offering, art performances, and a show of traditional costumes of local ethnic groups, such as Thai, Mong, Kho Mu, Lu, and Lao. Many folk games and a cooking contest are also organised during the two-day event. The Ban Phu Citadel was built between 1758 and 1762 by Hoang Cong Toan, the son of Hoang Cong Chat, who led the local people in the movement to protect the north-western villages from the occupation of the Phe invaders from China in the 18th century.